Today 08 October 2013, located at Atrium fX lifestyle center Jakarta - Indonesia, Nokia Indonesia officially launch the new Nokia Lumia 625 with Windows Phone 8. Nokia Lumia 625 comes with large 4,7" screen display, 5 Mpx main camera, Dual Core 1,2 Ghz Processor, 4G LTE, 512 MB of RAM, Corning Gorilla glass 2, 8GB of Internal Memory, support MicroSD External Storage, support 7GB for Cloud Storage by Skydrive, Nokia HERE Services and all benefits from Windows Phone 8 OS. at Today's event, Nokia Indonesia also launch their Nokia Music with Mix Radio services in Indonesia and expand their songs collection to up to 18 Millions songs. Mix Radio will be available for all Nokia Lumia owners in Indonesia. 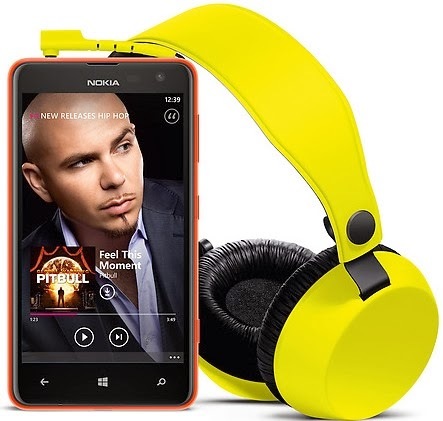 You can enjoy up To 18 Millions Songs with Mix Radio on your Nokia Lumia with Windows Phone 7.x and 8. If you want to buy a song/album, you can just go to Nokia Music Store and buy it with your Credit Card. (Nokia Music Store is Available for Nokia Lumia, Asha and Symbian devices).